It's that time of year again: The Harvard iLab has announced 15 startup finalists for the 2017 President’s Innovation Challenge. 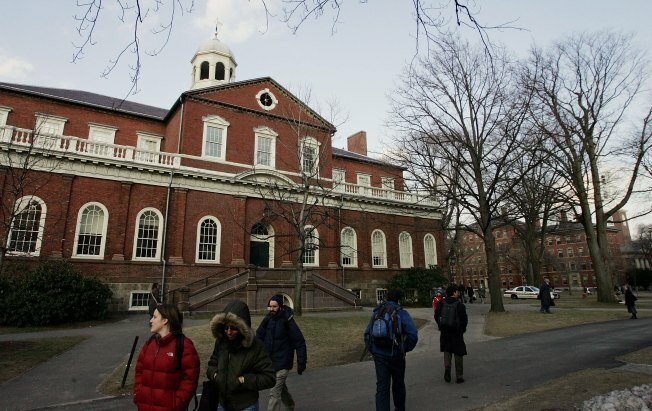 Although you have to wait until the May 9 ceremony for Harvard President Drew Faust to announce the winners, which will split a total of $310,000 in awards. Grand prize winners in each of the three categories will receive $75,000, while three runner-up teams will get $25,000. There will also be a $10,000 prize awarded to the “crowd favorite” during the May ceremony. Here are the 15 ventures in it to win it, as well as what kind of innovation they have underway. Barakat Bundle: It provides packages of proven, low-cost health interventions and childcare products to reduce preventable infant and maternal mortality in South Asia. C16: This venture uses synthetic biology to make palm oil in a more environmentally friendly manner. Neptune: The startup is encouraging restaurants and cities to do what they can to help infrastructure by cleaning up our sewers. Two Rabbits: It's using inexpensive MP3 technology and members of the community to provide early childhood education to those who need it. Upsolve: This team is developing TurboTax - but for filing for Chapter 7 bankruptcy. Day Zero Diagnostics: This venture is pairing machine learning with genome sequencing to help doctors diagnose infectious diseases with more accuracy and in less time than the current culture method. GEMS Samaritan Stations: It's working on smart devices that can help bystanders serve as first responders in emergency situations that need immediate attention. Jane Diagnostics: This team is revamping HPV testing and tracking, with a low-cost chip that can help with early cervical cancer detection. Nanoshear: This startup is developing an agent that can help with clotting and enable hemorrhage control among patients with vascular injuries. UrSure Inc.: It's dedicated to protecting vulnerable populations from HIV. AirCrew: These folks are making advanced air-purification systems more accessible on a global scale using catalytic materials made with nanoscale precision. Impact Labs: This venture has designed a leaf-spring that can be added to athlete's helmets to reduce head impacts. Lightmatter: It's focused on enabling ultra-fast artificial intelligence computing. Shuflix: This team is making an app that helps you wonder off the beaten path and engage in spontaneous activities throughout your city. The Wolfe: These guys are making an external graphics card that can help your average laptop handle everything from VR to CAD. Image via Shutterstock/spirit of america.